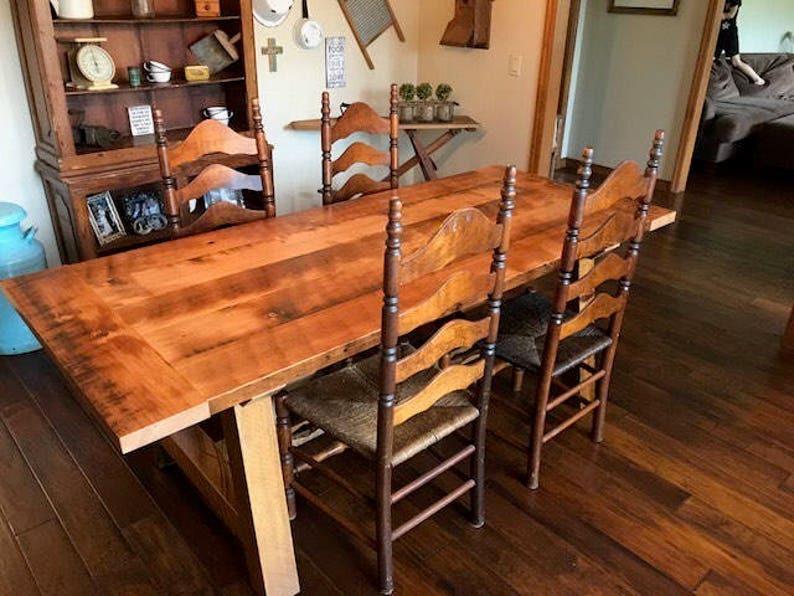 The Lincoln farmhouse table is made from reclaimed barn timbers, each one having its own special character. Each table is made to order, finished in a durable satin clear coat. Custom stain and or finishes are available for an extra charge. Please contact for details. Matching chairs, benches and coffee table also available.